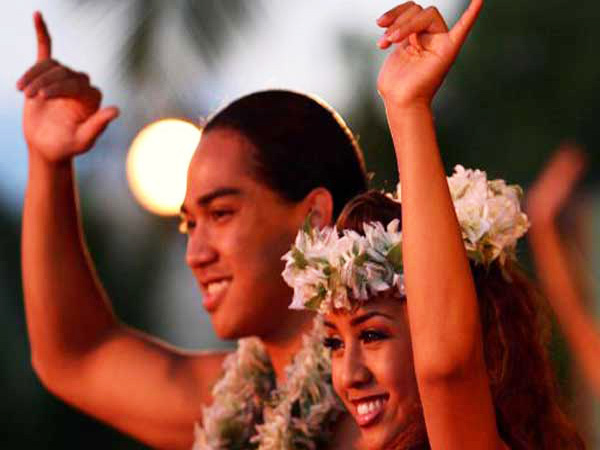 Held on a private beach on Oahu’s scenic leeward coast, Germaine’s Luau is considered one of Oahu’s most family-friendly luaus, offering a laid-back atmosphere. 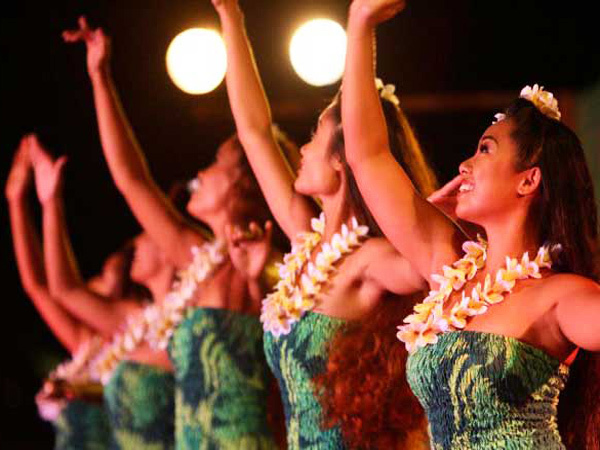 Immerse yourself in Hawaiian culture at this backyard-style luau, indulge in a delicious all-you-can-eat buffet dinner and enjoy a spectacular Polynesian show. 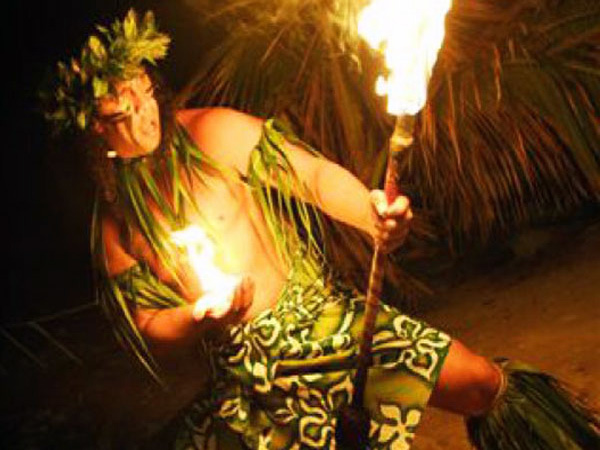 This Oahu luau includes everything what makes a Hawaiian luau special! Prior to the big feast, witness the Royal Court of Polynesia procession and the traditional imu ceremony, in which the kalua pua'a (roast pig) is revealed from the earthen oven. 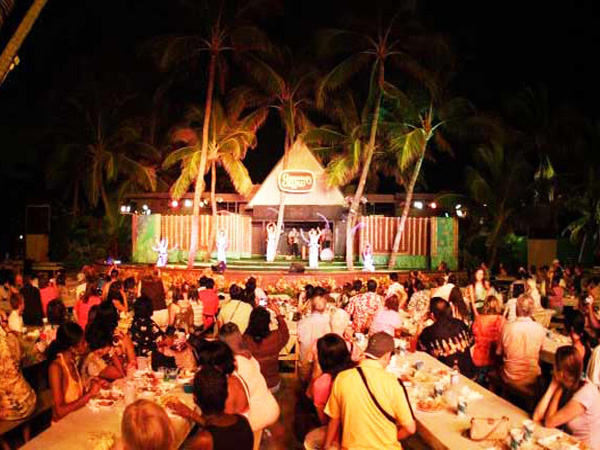 The following luau dinner features a wide variety of delicacies, from authentic Hawaiian dishes to continental favorites, so no one will leave hungry. For dessert, try the mouthwatering chocolate cake or the vanilla coconut cake. 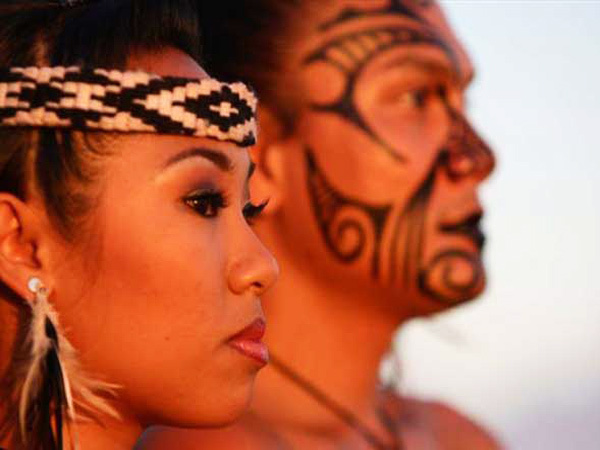 After dinner, enjoy a spectacular Polynesian revue, showcasing music and dances from Hawaii, Samoa, Tahiti, Fiji and Aotearoa (New Zealand). Germaine's Luau Hawaiian American Buffet: Kalua Pig (Roast Pork), Poi (Taro Potato), Chicken Long Rice, Lomi Lomi Salmon, Island Fish, Teriyaki Beef, Pineapple Coleslaw, Hawaiian Pulehu Chicken, Three-Bean Salad, Tossed Green Salad, Potato Macaroni Salad, Dinner Rolls, Rice, Fresh Pineapple, Chocolate Cake, Haupia (Coconut Pudding) and Vanilla Coconut Cake. Enjoy complimentary soft drinks, hot coffee, hot tea, punch, colas, root beer and more. A vegetarian entrée option is available upon request. 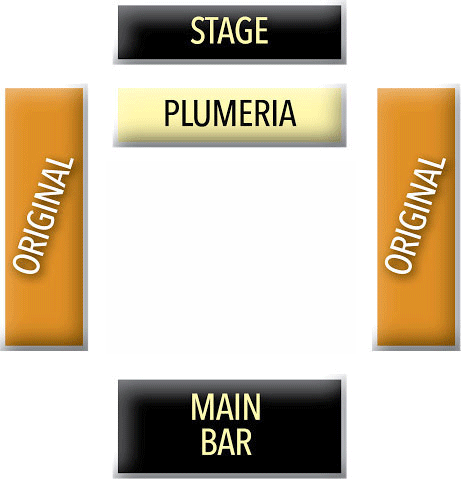 You can also go down the buffet line to select any other dish that you may desire. Roundtrip Transportation: If you need transportation to Germaine’s Luau, please select the free roundtrip transportation option in the shopping cart. Please indicate how many people need transportation. Free roundtrip transportation is offered from the Waikiki area ONLY.